How coconuts can help us re-think citizenship. Rather than inspiring another tired controversy, the coconut-picking macaques should encourage us to think about what might happen if we opened the cages and welcomed non-human citizens into the fold. Monkey slavery? Seems a bit extreme. But Marji Beach, educational director at Animal Place, a California farm sanctuary, insists that the animals are, at the least, abused. “Pig-tailed macaques are deprived of their family, tethered, and trained to harvest coconuts,” she says, adding that if “a product can be harvested with human hands or mechanically,” humans should do it themselves. Others, though—granted, mainly monkey trainers in Thailand—sketch out a kinder picture. In their version, the monkeys attend a well-regarded “Monkey Training School,” hone their coconut-picking skills under humane tutelage, enjoy a free ride to work on the backs of their scooter-driving owners, and, in return for their services, receive full-body massages and red ant inspections at the end of the day. Not bad. Of course, both sides of this issue express the opinion you’d expect them to express. For now, we’ll have to assume that the truth lies somewhere in the middle. What you do with coconuts is currently between you and your conscience. That said, no matter how the monkeys are treated, there’s a more interesting implication to this story, one that places the ever-evolving human/animal relationship in a fresh political context. 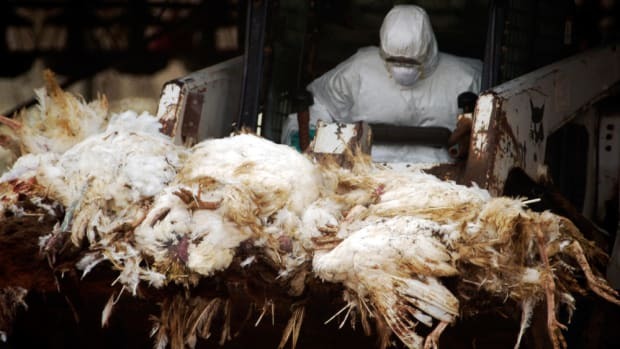 One wing of the animal-rights movement believes that humans are, by nature, incapable of treating animals in anything but an abusive manner. Our dominion is necessarily marked by exploitation. Accordingly, this group opposes all forms of domestication (even for pets), insisting that humans minimize or eliminate interaction with non-humans. Just leave them be. It goes without saying that there’s no room in this interpretation for tethered, coconut-retrieving macaques climbing trees to enrich food companies. But another camp sees our relationship with non-humans differently. 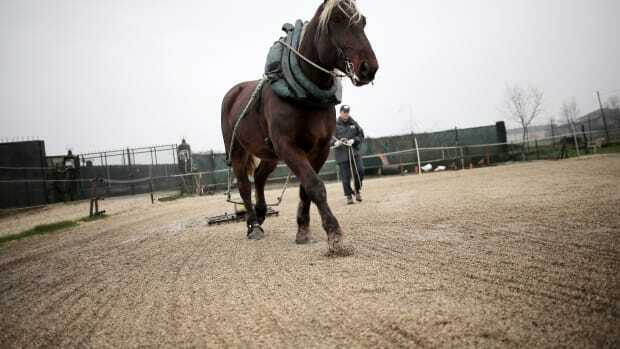 It argues that humans have positive obligations to animals—especially those who have become dependent on us. 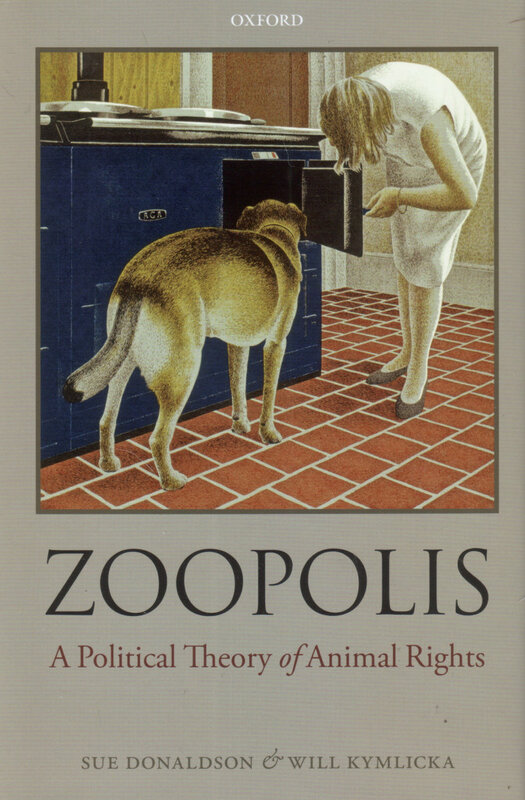 Sue Donaldson and Will Kymlicka, authors of Zoopolis: A Political Theory of Animal Rights, propose that domesticated (and semi-domesticated) animals deserve some form of political citizenship alongside their human compatriots. We should, in essence, do more than respect their negative rights—i.e., their right not to be kept in a crate and slaughtered. We should take their positive rights into consideration as well. Doing so, as a start, means codifying meaningful, symbiotic relationships within the boundaries of a shared polis. How this arrangement might play out in reality is obviously an open question. But Donaldson and Kymlicka speculatively envision a kind of citizenship for domesticated and semi-domesticated animals that involves humans treating them as they might treat fellow human citizens with disabilities. Although seemingly loaded, the analogy is a useful one. 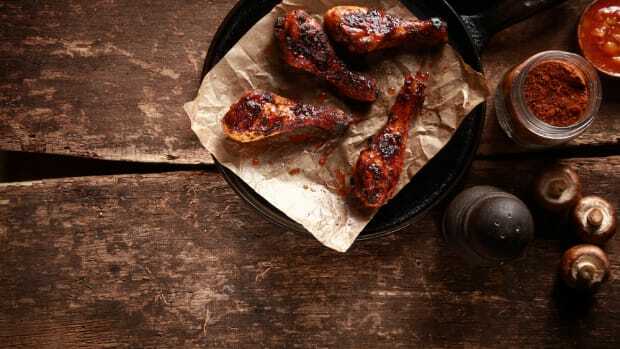 It reminds us that many citizens, for a range of reasons, don’t enjoy privileges that citizen-critters would, under some form of citizenship, obviously be denied—privileges such as voting, getting a driver’s license, owning a gun, or signing a contract. At the same time, it reiterates that these same potential citizen-critters would retain the right to participate meaningfully in the matrix of daily connections that fuel a democratic society. In this framework, a macaque picking coconuts for a food company is only a slave if his overseer is allowed to act like a master. And indeed, when animals exist beyond the pale of citizenship, the master/slave arrangement becomes the default move—as Animal Place’s Marji Beach correctly intuits. But if our elemental political foundation expanded to include animals as citizens, slavery would transition into “employment.” As employers, human managers would be bound by customary and legal obligations—positive obligations—that respected the basic tenets of shared citizenship. Through an implicit contract, humans and monkeys would assume an interdependent working (and perhaps social) relationship. 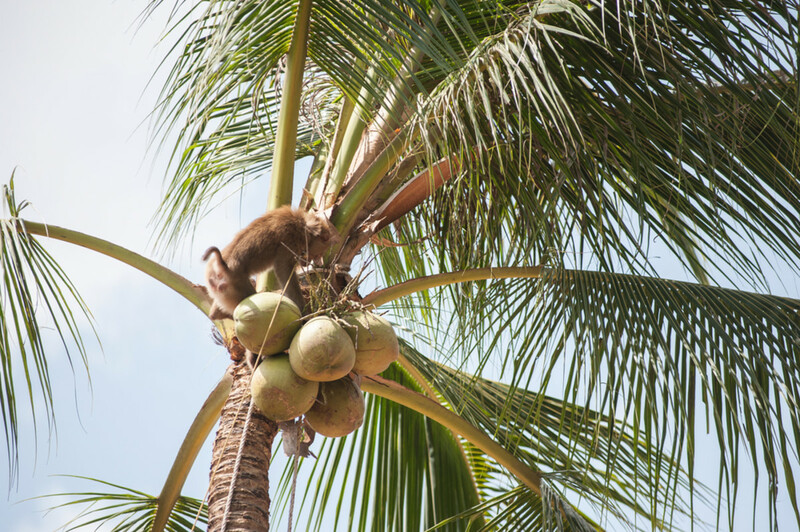 Monkeys would be primarily obligated to pick coconuts. Humans would be obligated to not only treat macaques with the same dignity they’d treat human employees (up to and including proper compensation), but they’d be expected to train them to follow expected standards of decency—no biting colleagues, no sleeping on the job, and no shitting outside of a bathroom. Employers of human workers have dealt with worse. In her ultimate condemnation of “monkey slaves,” Beach notes that, “what I find distressing is that they take them from the wild.” But this supposed transgression against nature overstates the distinction between what’s wild and what’s domestic. As the title Zoopolis implies, humans have so transformed the natural world that it could conceivably be argued that all the world is a zoo. Rather than inspiring another tired controversy, the coconut-picking macaques should encourage us to think about what might happen if we opened the cages and welcomed non-human citizens into the fold. 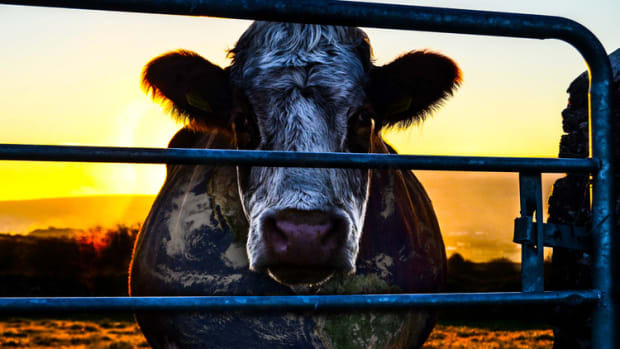 Is it possible for us to provide a bit of humane treatment to livestock? They may have to prove they can fly first.